The Xone XD:53 Headphones are the new professional monitoring solution for DJ&apos;s who want practicality and top-notch functionality out of their setup. DJ Blaze takes them in the lab for a full written review inside! 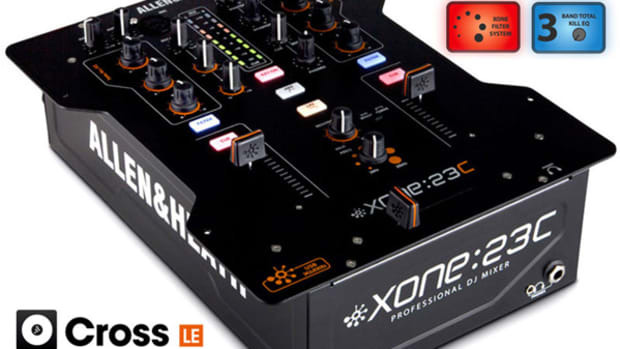 Ever since Allen and Heath decided to really get into the Pro DJ market, they have been making EXCELLENT products bearing the Xone moniker. Their mixers (many of them reviewed right here on DJbooth.net) are second to none with super-high quality and overall usability in mind. They continue with this theme as they introduce the Xone XD-53 headphones which are advertised as their “premier” DJ headphone setup with bumping bass and crisp highs and mids. In this review we will see how they stack up against other “flagship” headphones made by other manufacturers as well as explore the design, fit, and finish of these cans as I am nodding my head to the sounds they exude. The Design of the Xone XD-53 headphones is very nicely done. 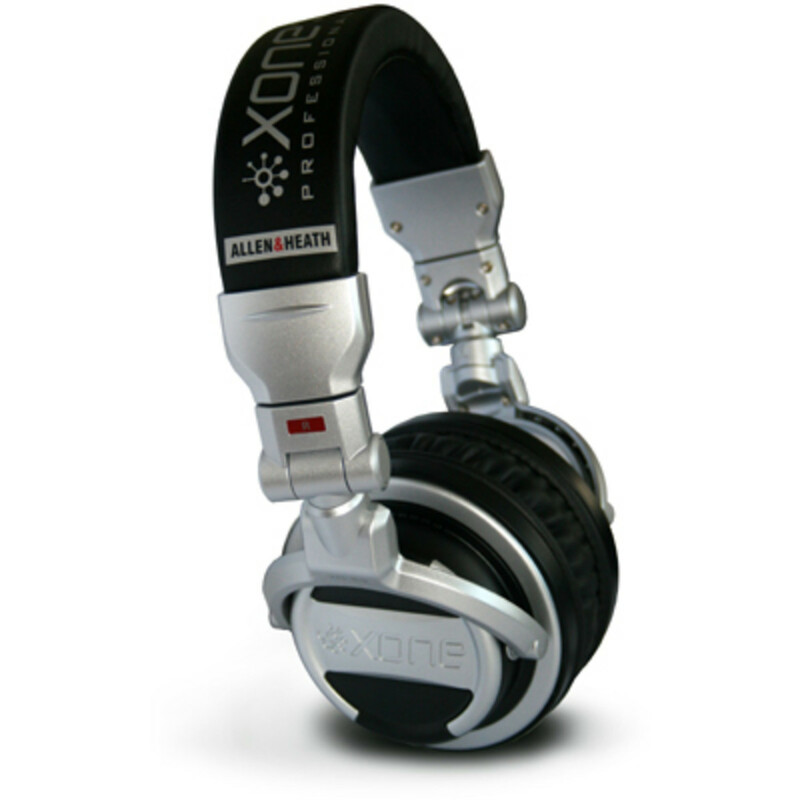 The silver and black color scheme that most of our equipment is made up of is back again on the XD-53 headphones. They are made of an almost completely plastic material meaning they are really lightweight. The only metal area on the entire headphones is the headband which is reinforced with metal ear-cup extensions for added rigidity. They are lighter than the Technics, Denon, and Pioneer flagship headphones and they still feel heavy enough to take some serious abuse. 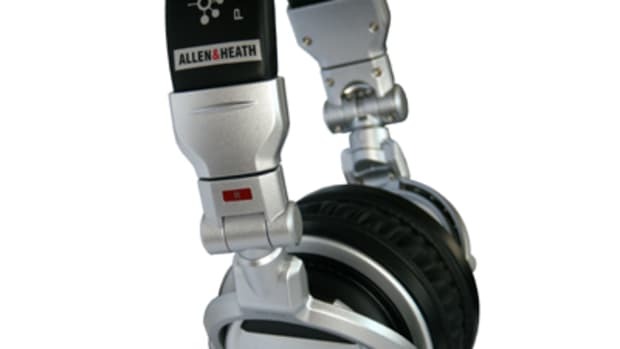 The ear-cups can be completely swiveled and rotated to suit the DJ’s needs. You can easily use them in a one-ear-cup fashion as needed when mixing and monitoring simultaneously. They can also be fully collapsible making it easy to store them in the supplied leather pouch. The 1/4” gold-plated adapter is also included so you can plug these headphones into any device necessary. The drivers of these headphones are 53mm, hence the name XD-53. These are the largest drivers available on any DJ Pro Headphone to date. They are big enough to fit completely over the ear while the super-soft leather ear-cups will be sure to provide comfort for a long time to come. At the time of writing this review, I used them for two hours straight without my neck and head feeling bogged down. You could easily and comfortably play an entire six hour set with these on without feeling discomfort. 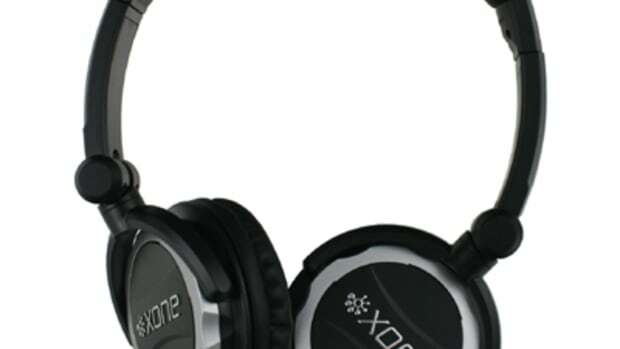 The XoneXD-53 headphones can extend the length of the ear cup portion by a few extra inches on each side by pulling them down from the headband area. The Extensions are reinforced with a metal band (as stated previously). This provides structural rigidity for the headband area and the attachment point between the headband and the ear cups (the area most prone to breakage). At the top of the Xone XD-53, there is a leather-soft headband that can be twisted and contoured in ways I have never seen before. The headband can be bent into the completely opposite direction than what it is actually supposed to be in. I can literally grab an ear cup and bend the headband all the way back without the headphones snapping into pieces. I haven’t seen this type of flexibility in a set of headphones of this magnitude before. You can sit on them, step on them, or bend them like crazy and they will NOT break or crack as other headphone models would. I am completely surprised that something built almost entirely of plastic is so sturdy and able to bend and flex in crazy ways. There is something within the construction of the headband that makes this possible while allowing the headphones to return to its original solid state. The side of each ear-cup has a nice XONE logo and the headband has Xone XD-53 and Allen & Heath displayed prominently. My only gripe with the headphone design is the lack of a removable headphone cable because this is usually the first point of failure for headphones overall. The Sound Quality of the Xone XD-53 headphones is incredible. With the 53mm drivers (the largest found on any Pro DJ Headphone to date) can handle whatever a DJ can throw at it. I tested these headphones on three different mixers to ensure my results (Stanton SA-5, Korg KM-202, and Numark X5). On each mixer, I was able to turn the volume levels all the way to the max without hearing any bass/treble/mid distortion. They get so loud that you will bust an eardrum before any distortion ever occurs. When compared to the flagship Technics and Denon Headphones, they have slightly better sound quality but they are definitely lighter in weight. When compared to the Beyerdynamic DT770 Pro headphones, they are not as light or as crisp in sound, but they come extremely close in both arenas. The 53mm drivers are high-power neodymium magnetic design with 1500mW of power handling with high SPL capacity. They deliver top-notch sound reproduction. 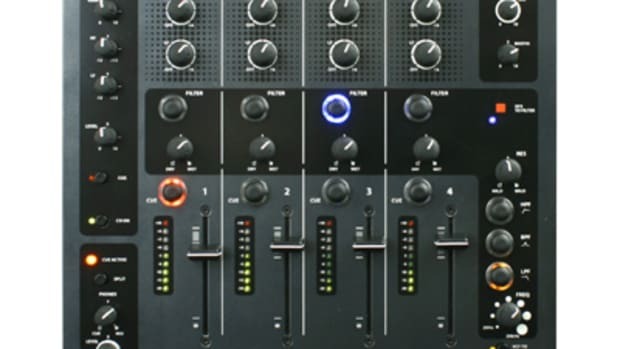 They also have a sound isolation design which all but eliminates ambient noise which make them perfect for performing DJ’s that require a good monitoring ability when spinning in extra-loud environments. 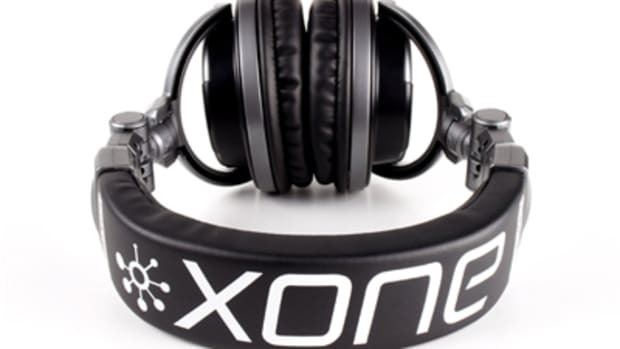 Conclusion: The Xone XD-53 Headphones are a really good buy for any DJ who can afford a set. Whether you are listening to music on a computer, or DJing a full six-hour set; these headphones are the right choice. They can handle an insane amount of power and still produce nice accurate sound at full volume levles. They are also very sturdy and feel like they can bounce back from almost any mishap such as being stepped/sit on. Along with the sturdy feel, they are also actually lighter than most other DJ Headphones in the same quality or price-point. 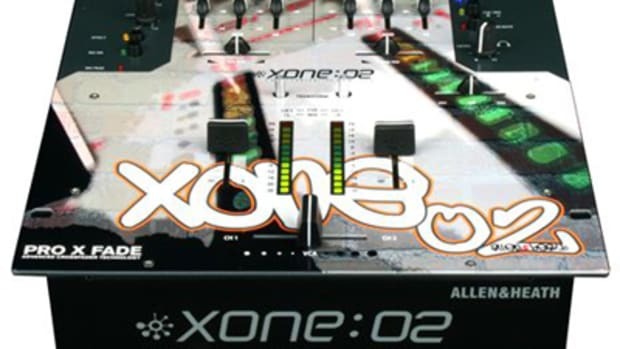 These are a MUST-HAVE item for any DJ who has an Xone mixer or the new Xone:4D media controller. These headphones are highly recommended by the DJbooth.net Staff and we enjoyed our time in the lab with them. These are recommended for any DJ who needs an EXCELLENT, premier set of headphones who can afford the $200 price tag.